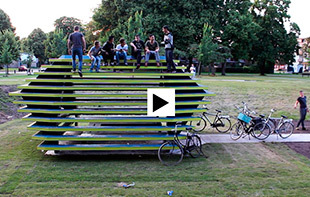 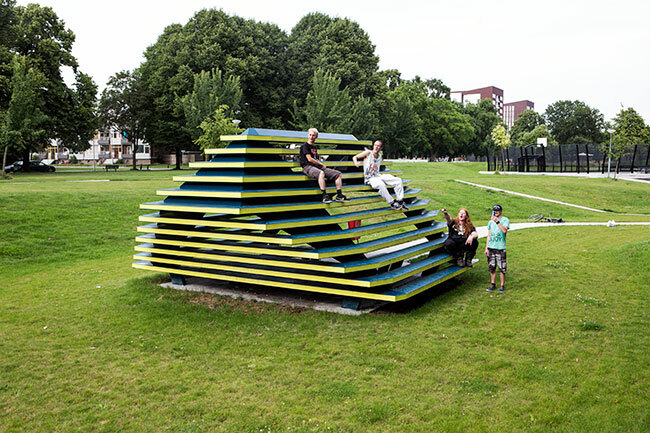 This unique structure was commissioned by the neighborhood association of Emmermeer and designed for a local community. 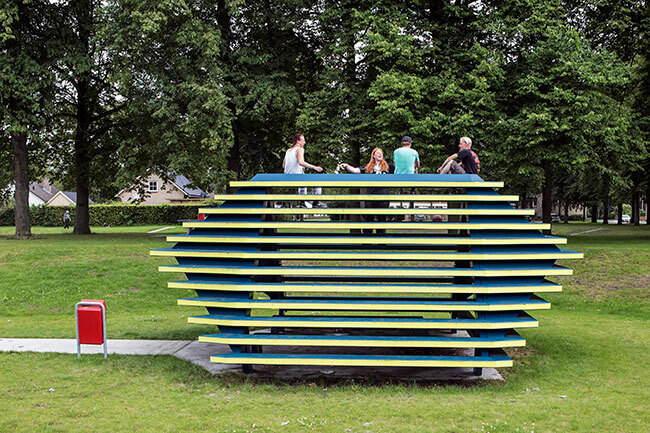 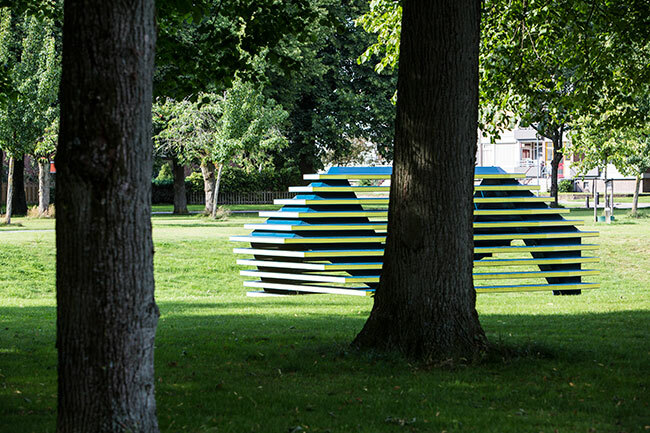 The shape itself is a contemporary take on the traditional schaapskooi or sheep shelter. 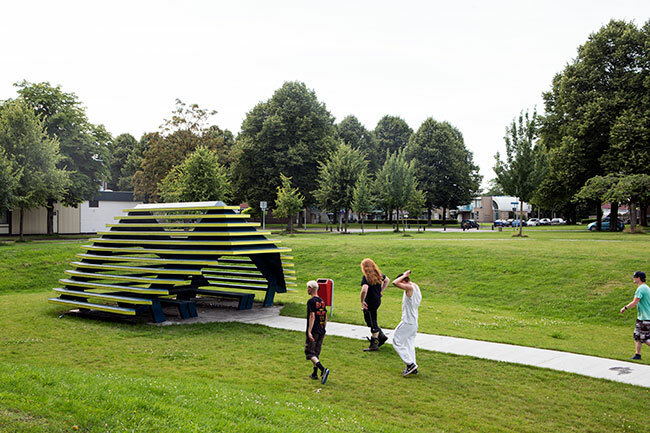 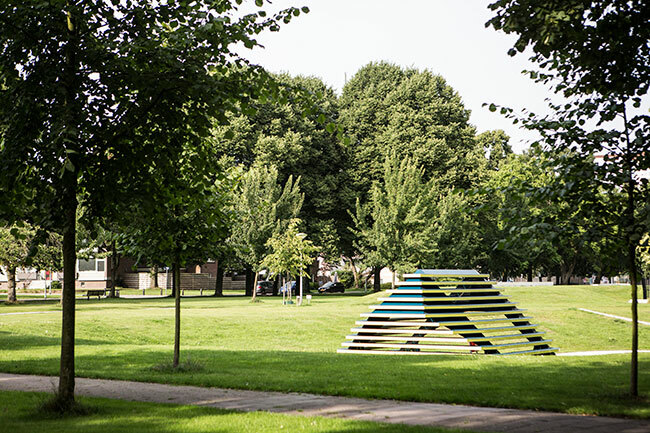 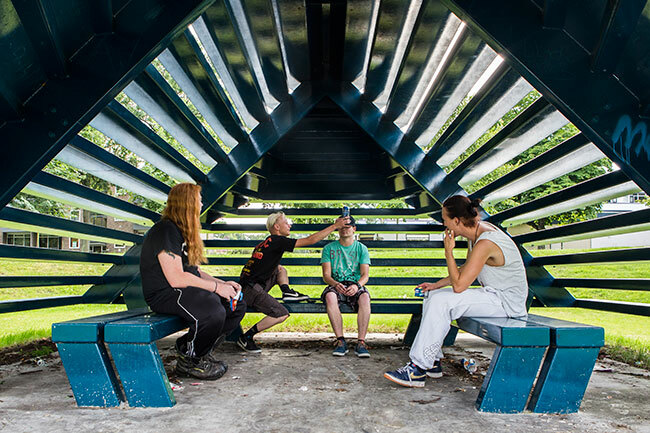 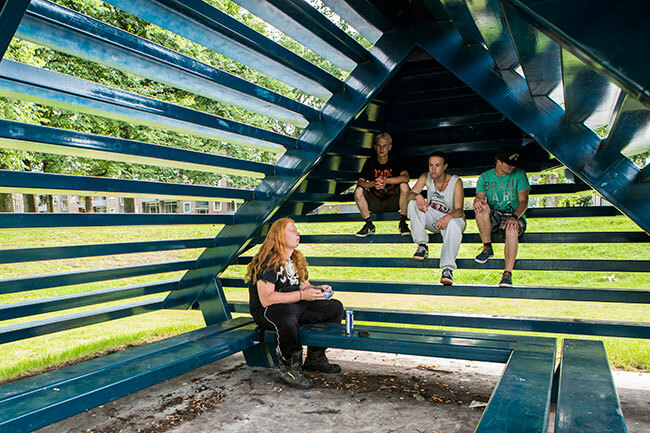 The design draws on the different sight lines in the vicinity of Haagjes Park and is meant to accommodate sitting, standing or just hanging out. 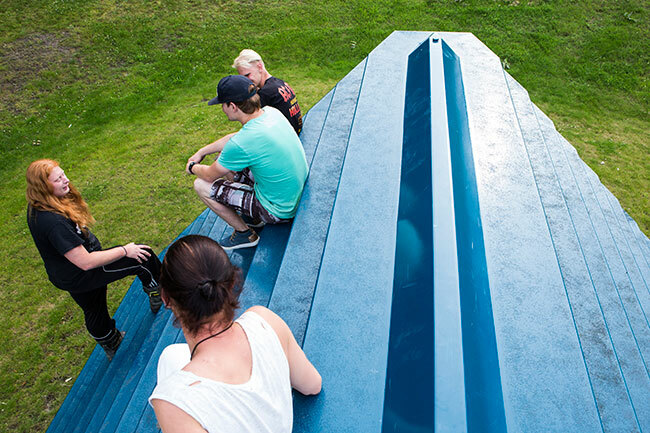 The steel beams provide a sense of the requested transparency and openness to the surroundings.